Home / Blog / convention / panel / Geek Parents: The Joys and Challenges of Geeks Raising Geeks @ PAX West 2016. Geek Parents: The Joys and Challenges of Geeks Raising Geeks @ PAX West 2016. It is now a week since PAX WEST 2016 concluded the last day of the EXPO. 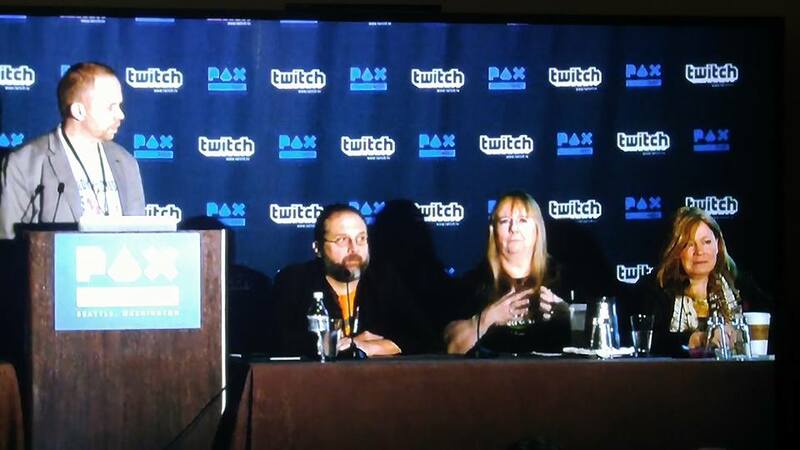 And as I try to fight off the con crud that was all to eager to get to me this time around, I like to reflect back on the exciting opportunity I had to host a panel at PAX. "Geek Parents: The Joys and Challenges of Geeks Raising Geeks"
Until now I had only ran this topic at small speech contests and a local con and to bring it to PAX, while adding some wonderful people onto the panel was an experience that has me hunger for more. To be fair it was a little nerve wrecking as I stepped into the enormous room and the spotlight hit the stage but as we went through out topics the room felt smaller, and welcoming and soon it was as if we had a fun discussion during a nice dinner. If you have interest in learning more about the panel and what we talked about just follow this Twitch Link.